The pages of cinema history constantly remind us of the contributions of the giants in the industry. But what, of those individuals whose names have not stood the test of time. How should their contributions be judged? If the general estimates of 80% of the productions from the silent era are lost, does it not stand to reason that the same can be said of the performers? It should not dull their accomplishments, but in reality it should drive us to seek them out, and reevaluate their positions in the industry. One such person in this category is Carl Louis Gregory. He was a pioneer in cinematography, a writer and director in the silent era. He went on to become one of the early proponents of film preservation, his prolific writings on the art and craft of cinematography are relevant still today. Carl Louis Gregory was born in 1882 in Walnut, Kansas. His family moved to Ohio shortly after his birth. As a child he showed an early fascination with photography resulting in his construction of a crude camera from a cigar box at the age of 11. While attending high school in Cleveland he began to take pictures for pay. This served him well, as this income assisted in his payment of tuition to Ohio State University where he had enrolled upon his graduation from high school in 1900. According to Gregory’s own resume’ he graduated from Ohio State as a registered pharmacist in 1902 and received a bachelors degree in Chemistry from the same institution in 1904. Upon his college graduation he secured employment as the official photographer of the Louisiana Purchase Expedition. His duties included running the pass photo section (making up to 1200 portraits in a single day, and working in the Airdrome section. This required him to photograph various subjects from Airships and balloons for newspapers and publicity. In 1905 he opened his own photography studio in Monterey, Mexico. Here he took views for postcards and commercial reproductions in the South Sea and Old Mexico. The Spring of 1906 saw him open another commercial studio in San Antonio, Texas and by the end of the year he had been hired to manage the Dodd-Rogers Photographic Lab in Cleveland, Ohio. In 1907 he left this position and was hired by the U.S.Geological Survey as wet plate photographer. He was responsible for everything from making lantern slides, wet plate transparencies, bromide enlargements to doing lens and shutter testing as well as photo-micrographic work. In 1908 he transferred to the U.S. Reclamation Service where he was in charge of filing and classifying negatives, prints and lantern slides. It was here that Gregory began his first real experiences with Motion Picture Cinematography. 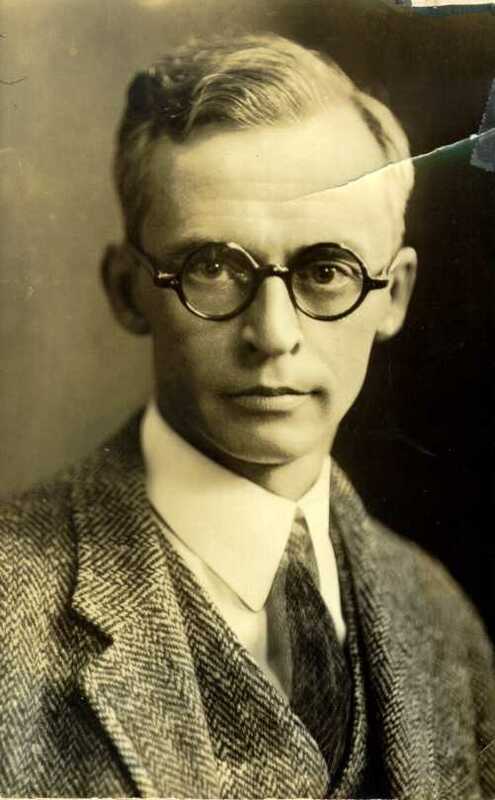 He began this baptism by fire by being made responsible for taking, developing, printing and titling motion pictures of the Reclamation Service work. He was also responsible for the installation, wiring, and operation of motion picture projectors to accompany lectures giving by Reclamation Service Staff. Soon he began to be recognized as an expert in photography and cinematography. He was sought by groups such as, The American Chemical Society, Union League Club of Baltimore, and George Washington University to lecture about his expertise in area such as color photography. In the winter of 1908 Gregory was hired as stage manager and photographer by Burr McIntosh. At this time McIntosh was traveling the eastern part of the United States giving lectures on topics such as "Our Country", "Our Navy", and Our Island Possessions". He continued in this capacity until the winter of 1908 when his accomplishments received the attention of Thomas Edison. For the next year Gregory’s job consisted of doing investigations into different uses of Cinematography. It was well know that is was Gregory who was responsible many of the Special effects work at the Edison Studios. In the summer of 1910 he accepted an offer to become the Chief Photographer of the Thanhouser Film Corporation. For the next 4 years Gregory would take charge on many of the operations at Thanhouser. During the period from 1911-1912 he would oversee the construction of Thanhouser’s California Studio’s. Later, this same studio served as home to the Majestic, Reliance and Charles Chaplin Film Companies. On 1912 he lensed and was probably the director (although uncredited) of the film "The Cry of the Children". This was an early social drama dealing with child labor issues. He was also credited with filming the first serial in motion pictures titled "The Million Dollar Mystery" with Marguerite Snow. In 1913 Gregory took over control of the day to day operation of Thanhouser’s Princess Brand outfit. 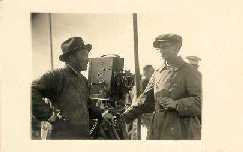 He filmed and directed titles such as "The Tangled Cat", " Her Way", "The Grand Passion", and "The Strike". For these productions he directed some of Thanhouser's top talent, names like, Florence LaBadie, Muriel Ostriche, James Cruze, and Marguerite Snow to name but a few. In 1914 he left the employ of Thanhouser to become chief photographer of he Williamson Brothers Submarine expedition to the West Indies. As part of this crew, Gregory traveled to the Bahamas filming the first scenes ever shot beneath the surface of the ocean. Upon his return to the United States Gregory took a troupe of actors on a trip through the western U.S making dramatic films using various National Parks as the backdrop. This was done with the endorsement of Franklin K. Lane, Secretary of the Interior. In 1915 he signed with Metro Pictures and filmed various productions for them during the year. With the outbreak of World War I he was made a Lieutenant in the US Signal Corps and was stationed at Columbia University where he trained US Soldiers in the art of Cinematography. He continued in this capacity until the end of the War. In 1921 Gregory was part of the Rodman Wanamaker Indian Foundation. He used his talents to record the life and traditions of the Native American Culture on Film as well as Native American Participation in World War I. In 1922 he joined he Orient and Indian Picture Corporation and worked in Bombay and Shanghai during this period. Returning to the United States he became Dean of the New York Institute of Photography. Together with Falk Publishing Corp. he turned out a book on various aspects of Motion Picture Photography. This was " Motion Picture Photography" published in 1927 as a second edition. Gregory acted as editor and wrote many of the chapters in this publication. He also contributed his expertise to such publications as American Cinematographer, SMPE Journal and Moving Picture World. IN 1930 he became a consultant to the Kislyn Corporation. They were trying to market a 3 color additive process for motion Picture film and hired Gregory as their Technical Director. While this showed great promise, it was not used commercially in the US. This was due to the general depression in US, technical difficulties in producing release prints, and a series of legal problems emanating from disputes between Rudolph Berthon originator of the process, and his former associates the Societie’ du Film in Couleurs Keller-Dorian. By 1931 the US plant had closed, Gregory continued to work as a consultant for Kislyn abroad as they continued to probe the overseas markets. During this period , Gregory continued writing for various publications and also continued his consulting work. In 1936 he was hired by the National Archives of the United States as Motion Picture Engineer. He continued in this position for the next 10 years. During this time he performed many experiments in Cinematography, designed and built optical printers for the Department of the Navy, and the National Archives to name a few. He also became the first person to successfully copy onto celluloid stock material from the Library of Congress Paper Print Collection. This was done on one of his modified optical printers in 1943. Upon his retirement in 1946 he continued to do consulting work until ill health forced him to curtail his workload in 1949. He passed away in March of 1951 at his home in Van Nuys, California. 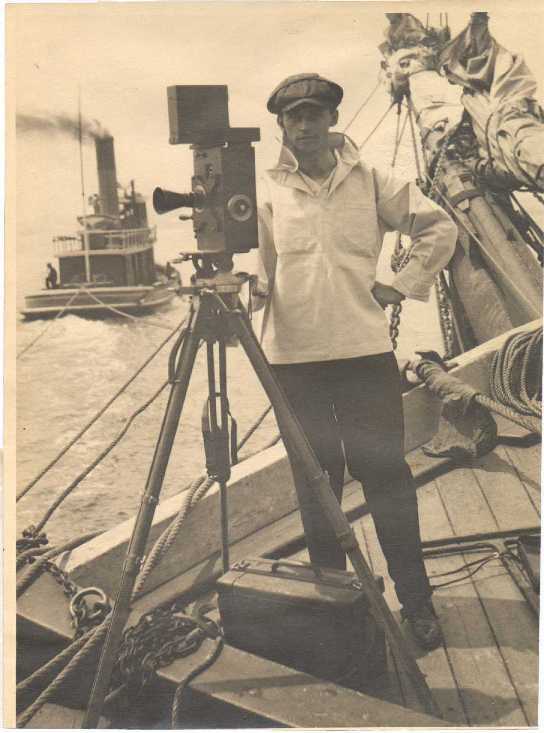 Note: Photo of Carl Louis Gregory on board ship is courtesy Chapman University School of Film and Television.